On behalf of the Towing & Recovery Association of Ohio (TRAO) www.trao.org , the Towing & Recovery Association of Kentucky www.trak-inc.com and the West Virginia Towing & Recovery Association www.wvtow.com , we appreciate the support of our members, volunteers, show sponsors, exhibitors and attendees in making the Midwest Regional Tow Show the largest tow show in the Midwest. This event, referred to as the Family Towing Affair, is planned with attendees in mind — including families. Children are entertained on Friday and Saturday evenings, allowing parents to attend show events. The Women of TRAO hosts a luncheon featuring a “Safety Fashion Show” with new apparel from AW Direct. Male “models” are chosen from within our industry and represent towers, industry leaders and exhibitors who are willing to strut the runway while showcasing their unique personalities and attitudes. Our annual golf outing is a huge success as well as our seminars and demos. TRAO invited state senators and representatives to the show to discuss challenges our industry faces. Following an open forum discussion between legislators and members, the politicians will be shuttled through the show via six-passenger golf carts to view the equipment on display, and members of the TRAO legislative committee were on hand to answer their questions. Thank you to everyone who participated in our 40th year. 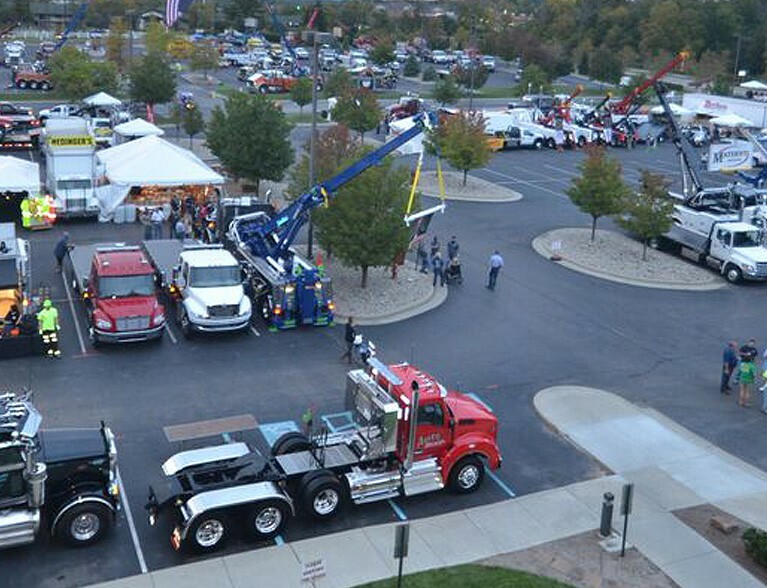 Let’s make our 41st year as successful as the previous show as we celebrate the 2019 Midwest Regional Tow Show ! Yes !! We are bringing back an auctioneer !! Come on in and enjoy an laid back Meet and Greet with finger foods, drinks, music and a cash bar. This will be a time to catch up with everyone, meet new people and socialize before the Show. Silent auction items will line the walls with proceeds from those items going to the Injured Driver’s Fund! Come on out and enjoy!! An awesome night of 80’s music and dance featuring the one of Cincinnati’s hottest bands. Big hair and 80’s attire welcome! The Women of TRAO would like to invite you to be a part of their annual Luncheon –Tickets may be purchased from the WTRAO booth located in the main conference area along the left hallway for $20.00. Space is limited and you must purchase a button before Saturday @ 10 am.